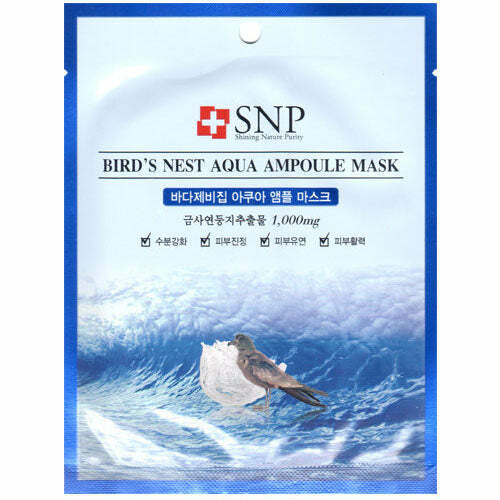 - Sea bird nest extract provides moisture on skin giving moisturized and bright skin. - Moisture intensive care mask sheet to provide tired skin vitality with elasticity. - Intensive moisture protect and sooth sensitive skin. - Provides moisture protection shield keeping skin moisturized for long hours. - Treat sensitive skin from external irritation, giving healthy care improvement. - Turnover skin giving best skin condition. - Cellulose provides perfect fit. 1. After face wash use softener. 2. Place mask focusing from eyes and lip area. 3. Remove after 20~30 minutes. 4. Tap gently the excess amount of essence for absorption.